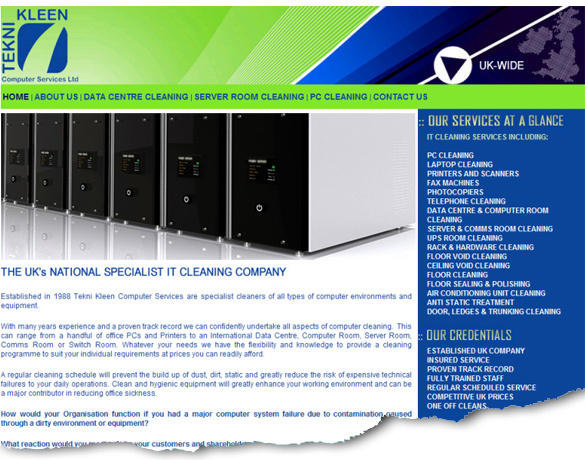 Sims Designs re-designed the Teknikleen Computer Room Cleaning site and then we optimised all the site pages for their chosen search terms. The site already had high positions in Google and the client was concerned that a redesign of the site would affect these rankings. We ensured that all the new content on the site was relevant and that the on page factors targeted the clients chosen search terms, with a view to retaining their Google rankings.